The Pounce Bermuda shorts will go perfectly with any Puma top. 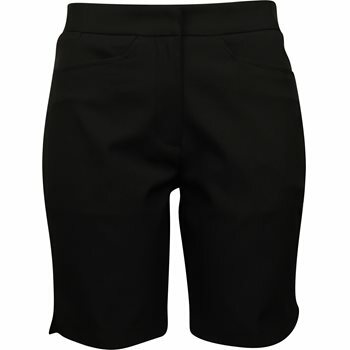 The shorts offer comfort and movement with ease on or off the golf course. They feature a half elastic waistband for added stretch, pockets for golf accessories, and DryCell moisture wicking to keep the skin dry when sweating occurs. The Puma Pounce Bermuda shorts are made with polyester fabric that’s easy to care for. Toss the shorts in the washing machine with no shrinking and resistance to mildew. The shorts are also resistant to wrinkles so you can spend less time ironing and more time on the golf course.